Robin Williams | Cappa Toons! One of my all time, joyfully favorite animated films is ALADDIN, brought to us during the high point of the Disney Golden Age. It’s a toss up for me between BEAUTY AND THE BEAST and ALADDIN as to which is my all time favorite. I suppose I would consider them equally superior films, but ALADDIN I saw at least 5 times when it was out in the theaters. One of the great things about this film is that it energized the comedy aspect of what Disney films could be, having been influenced by a lot of Warner Bros style humor. 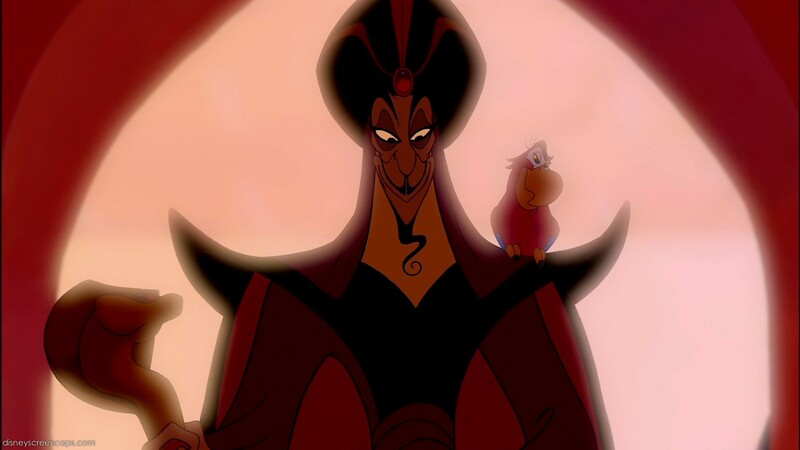 It also contains one of the great Disney Villains, Jafar, who instantly became a classic when this film first came out. It’s a good story well told, and thankfully this is one of the few films where they didn’t let Robin Williams write the film with his fast talking dialogue as the Genie. There are some animated films featuring Williams that let him go a little to far with the improvisation, forgetting about the rest of the story. 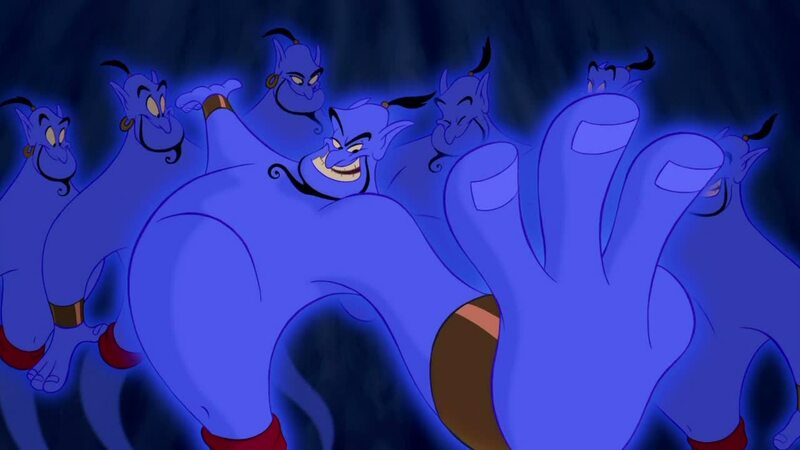 It takes about 30 minutes before the Genie is actually introduced into the film, but thankfully the energy of the film is high and it keeps its sense of humor at an equal level to Williams performance. I have always admired this film for many reasons. Its one of the few Disney films that really tries to break out of the tired doldrum Disney humor, which often in the past has been considered cute and charming, but not exactly funny. 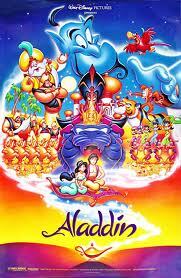 ALADDIN as a film is a standout among all those films, as the comedy is full charged and well executed. It’s got a unique style, and is one of the first films in awhile to break away from the 80’s Disney style and allow other styles to influence it. In this case, it was Al Hirschfeld’s quality line drawing, full of pleasing round shapes that add to the Arabic style. In an interesting twist, the villain Jafar is played opposite the rest of the cast, full of sharp angles to make him more threatening. 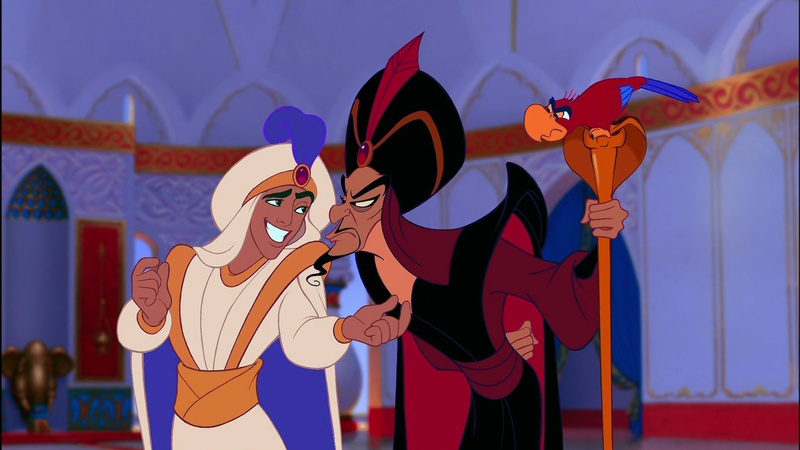 Jafar has always been one of my favorite villains, and one of the reasons I like him so much is that, while he’s a dangerous threat, he also has an understated sense of humor. By the end of the film when he goes power crazy, he hilariously starts going into puns. “Things are unraveling fast now, boy!” (unravels the magic carpet) “Don’t toy with me!” (turns Abu into a Monkey Toy) “I’m just getting warmed up!” (breathes fire) etc. etc. It’s great that he can be funny as well as equally threatening. While he brings a serious tone to the film, he’s never too serious that you can’t relate to him. But of course, one the greatest animation performances in this film is the Genie, masterfully animated by the great Eric Goldberg. I was watching a documentary on the film, and one of the funny aspects they brought to the character was that the Genie was made Jewish, and the joyful underlying concept of the film is that it’s actually a buddy comedy between a Jew and an Arab. Animation has never been more manic than with the character of the genie, whose constant transformations are hit with perfect timing. I remember the first time I saw animation of the Genie in a trailer for Aladdin. I knew the film was going to be amazing because I had never seen Disney animation go to the level of energy as they did with the Genie. He’s a great classic character, and an all time great comic performance, both by Williams and Eric Goldberg’s animation team. The other thing I want to mention about this film is the music. Not just the great songs by Howard Ashman and Tim Rice, but the great score by Alan Menken, which is one of my favorite of the newer Disney films. It’s funny how the same score is played as a lighter playful theme for Aladdin, as well as being made ominous for the villain, Jafar. It’s definitely a classic Disney score. I imagine the film ALADDIN is probably responsible for a lot of the more comedic animated films we have today, although these later films seem to lack something when it comes to storytelling. ALADDIN in itself is a blessing in disguise when it comes to how joyously fun it is as a film. This film did a lot for putting pop culture references, but it does so in a way that makes sense, because the Genie can travel through time. He can do anything. So a lot of the jokes he makes, Aladdin kind of shrugs off because he doesn’t get it. but the rest of the film remains true to itself and it’s comedy and shows it can handle its own even without the aid of Robin Williams. ALADDIN is a remarkable achievement in animation and story. Up there with THE EMPERORS NEW GROOVE, it is probably one of the most fun out of the Disney line up of films. It’s a definite classic and truly one of the great animated films of all time.